This shirt pocket sized (3"X5") set of two templates comes in a sturdy black leatherette carrying case. The cut outs are scaled at one inch equals twenty feet. This set works well with a medium ball point pen. 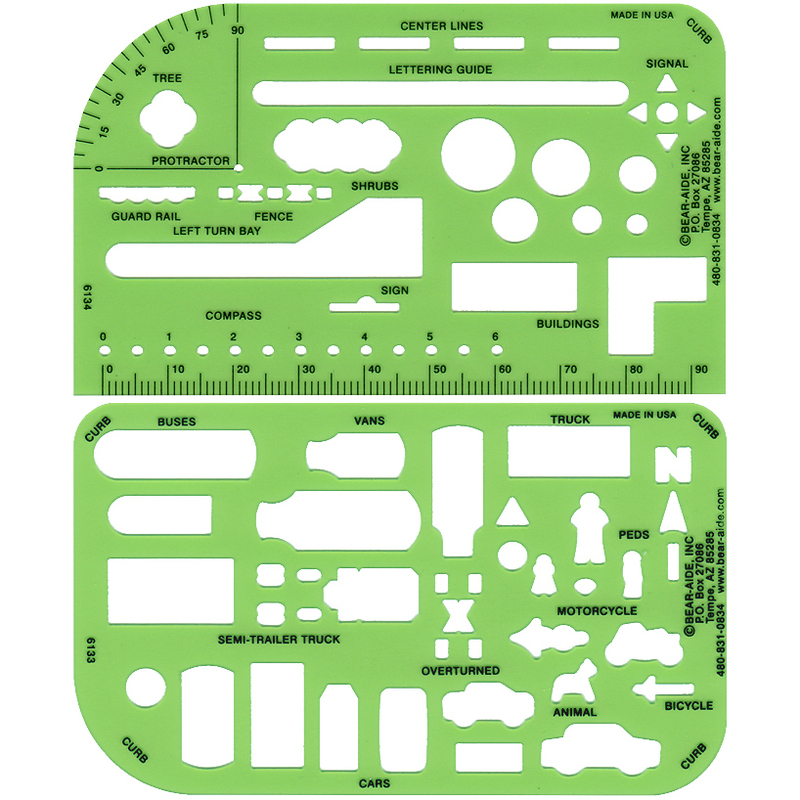 Like all Bear-Aide templates, this set is machined from the finest template material available. The grouping of the symbols makes this set easy to use. Price includes shipping & handling. Size 3" X 5" each. Click on product thumbnail image to view large image. The Deluxe Pocket Traffic Template Set is a four piece set comprised of the Drug Recognition Card, the Footnote Card and the two Pocket Templates all in a black leatherette carrying case. Size 3" X 5" each. Price includes shipping & handling. Click on product thumbnail image to view large image. The drug recognition and classification card meets the standards set by the IACP for the evaluation and classification program. 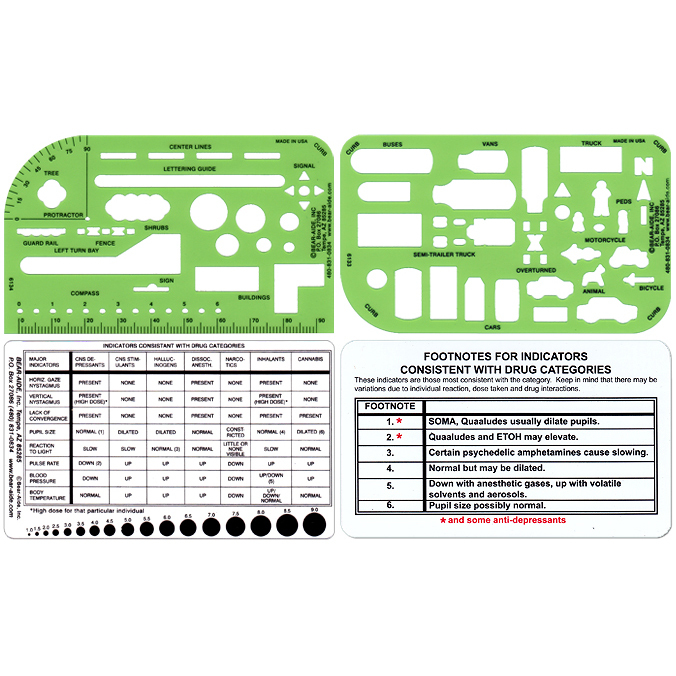 A second plastic coated card details the IACP approved footnotes listed on the template to clarify certain reactions. The pupil gauge ranges from 1.0 mm to 9.0 mm in 0.5 mm increments. 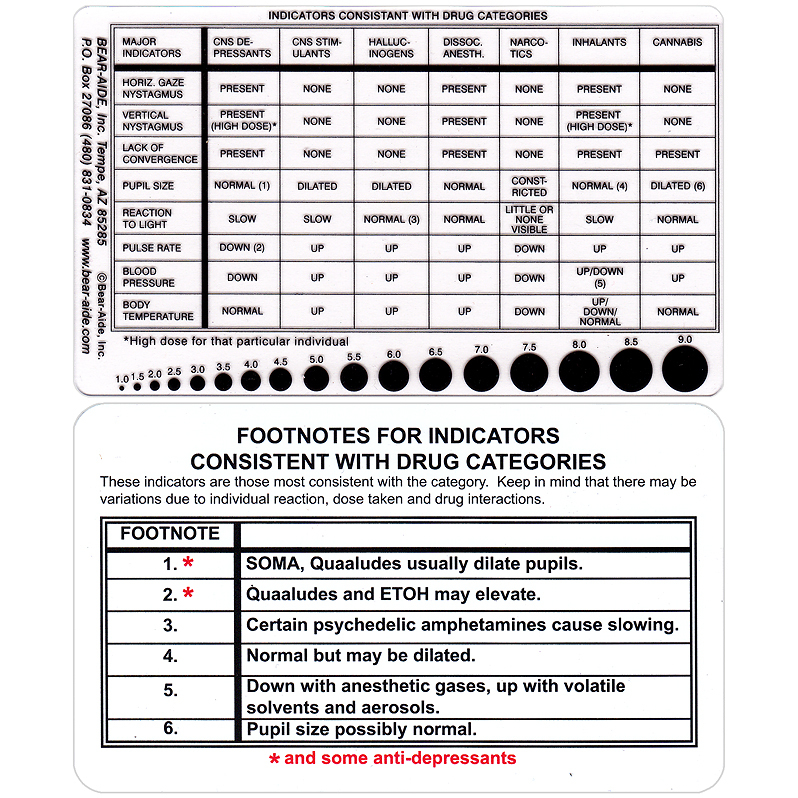 The chart above the pupil gauge lists reactions to various classes of drugs. Comes in a sturdy black leatherette case. Size 3" X 5" each. Price includes shipping & handling. Click on product thumbnail image to view large image.